A new One Stop convenience store is set to open in Doncaster later this week. The store, based in Sandford Road, Balby will open its doors to the public from 6am on Thursday morning. 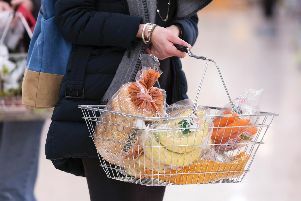 It will offer everyday essentials like bread, milk, and fresh fruit and vegetables as well as an extensive selection of chilled beer and wines, fresh sandwiches, snacks, soft drinks and sweets. A free to use cash machine, PayPoint, The National Lottery and mobile top up facilities will also be available at the store, as will a wide selection of newspapers and magazines. One Stop area manager Karen Mountain said: “We’re all very excited about welcoming customers here. “With a great selection of products and money saving promotions, we’re certain that local shoppers will be delighted with their new store. The store will be open from 6am-11pm every day.